Photos courtesy of Joyce Duwe and Kelly Griebel. A fundraiser is planned for Aug. 10 to support Cheyenne Stettler, who is fighting cancer in Seattle. Above, she poses with boyfriend Brad Duwe in a prom picture. Below, she goofs with friend Hayley Griebel. Cheyenne graduated from Soldotna High School in May. Struggling with uncertainty of the future, fearing the unknown, leaving home and missing it, testing relationships, grappling with change — none of that is out of the ordinary for a recently graduated high school senior. Two weeks after graduating from Soldotna High School in May, Cheyenne Stettler was in that most ordinary position of beginning to transition from life as she had known in high school — junior class prom princess, coffee shop barista, devoted face-painting fan at Brown Bears hockey games, close with her mother, sweetheart to her dating-since-junior-year boyfriend, inseparable with her group of friends — to the wide-open vistas of possibilities awaiting her adult life. Three weeks after graduation, “ordinary” no longer applied. One day she was excited about a new job as a dispatcher for AK Cab, enrolling in fall classes at Kenai Peninsula College and planning summer road trips with her friends before they all started going their own ways. The next, the wide horizons for this smiley, sweet-natured youth to set her blue eyes on constricted to just one hard, eclipsing focus — beating cancer. On June 23 Cheyenne was diagnosed with leukemia, barely three weeks since accepting her diploma and tossing her mortarboard cap with the rest of the class of 2011. It came as a complete shock to her, her friends and family. 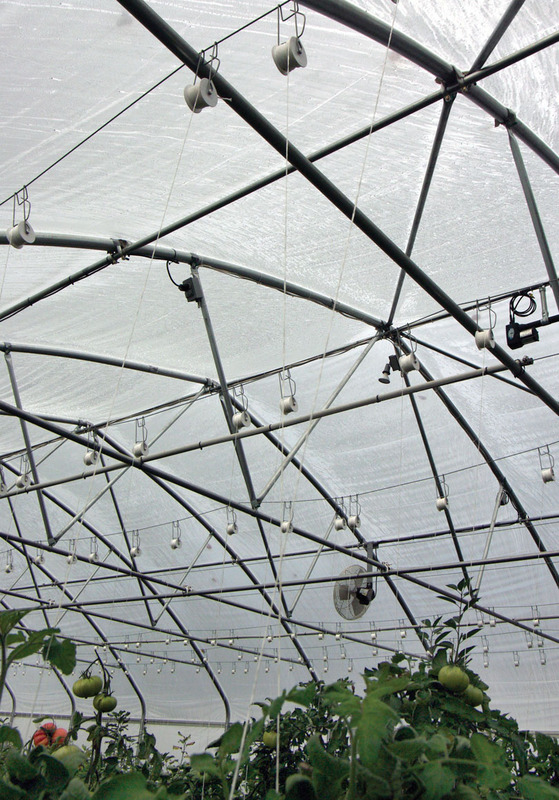 There had been some warning signs of a health problem, but nothing seemingly serious. Her hip inexplicably ached on and off over the winter. In the spring she was tired, understandable as a busy teen juggling schoolwork, a part-time job, a boyfriend and friends. In mid-June she woke up to find her elbow extremely painful and inflamed. Blood test results were sent to Children’s Hospital in Seattle. Doctors confirmed the diagnosis and wanted her in Seattle the next day to begin aggressive chemotherapy treatment. After a quickly assembled tearful send-off, Cheyenne and her mother, Whitney LaRose, were off to Seattle, leaving her friends and loved ones aching over her absence, and trying to find ways to help. Fishing fever in the rush to get to the Kenai is named as the likely cause of highway collisions so far this summer, with one catastrophic analogy emerging: the better the fishing run gets, the worse the drivers behave. Fatalities on the Sterling Highway from the turnoff leading from Tern Lake to Homer have already surpassed previous years by a good number. 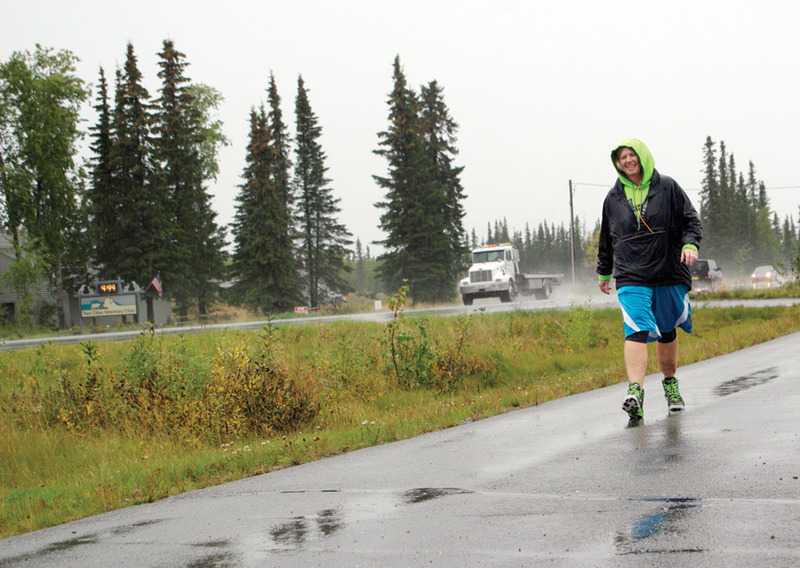 Of the nine crash fatalities recorded on the Sterling Highway so far in 2011, seven occurred in one week. Contrast that with 2010 — one crash fatality occurred all year on the Sterling. State highway statistics show one fatality in 2009, three in 2008 and six in 2007 on the Sterling, said Joanna Reed, a statistician with the Alaska Highway Safety Office. Any fisherman can calculate back to poor salmon runs and lower highway traffic in previous years. Patrol officers notice a difference in accident causes. Photo courtesy of Lee Johnson. 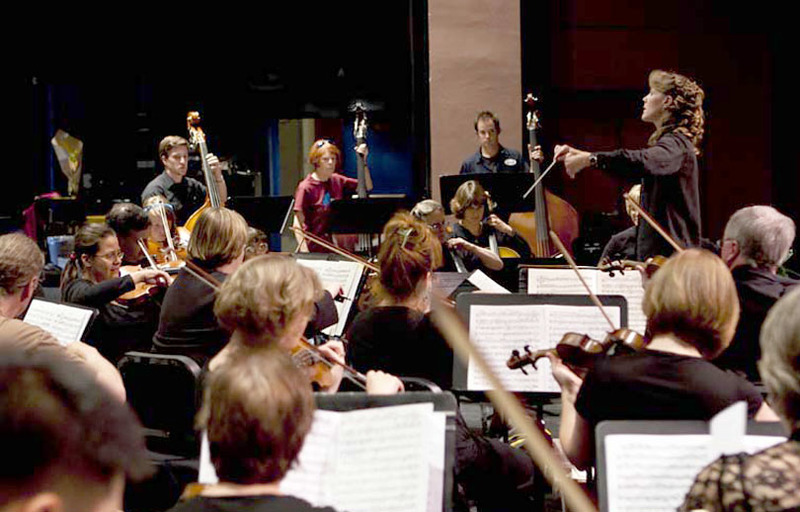 Tammy Vollom-Matturro conducts the Kenai Peninsula Orchestra in a previous gala concert. In a music lover’s world, Beethoven’s Ninth Symphony needs no description. It’s a seminal institution among the lexicon of classical music — huge, foundational, inescapable. Not being aware of it would be like not being aware of the sun. For more occasional listeners of orchestral works, it doesn’t take much to place the Ninth. Say “Ode to Joy,” or play just a few bars of the driving, intricate strings runs from any of the four movements and it’s instantly recognizable. To someone with no familiarity with classical music, it’s hard to convey the stature of the piece in a way that does it justice, yet doesn’t sound like complete, overly enthusiastic hyperbole. “It’s huge. It’s absolutely monumental, it really is,” said Tammy Vollom-Matturro, director of the Kenai Peninsula Orchestra. For a musician at any level short of a paid, career member of a professional orchestra, performing the Ninth is about as big as it gets. It’s often a once-in-a-lifetime opportunity, if that. It’s a baseball player in the World Series stepping up to the plate in a tie game at the bottom of the ninth. It’s an actor playing “Hamlet” on Broadway. In terms more familiar to Alaskans, it’s a sportfisherman hooking into a 90-pound king salmon. 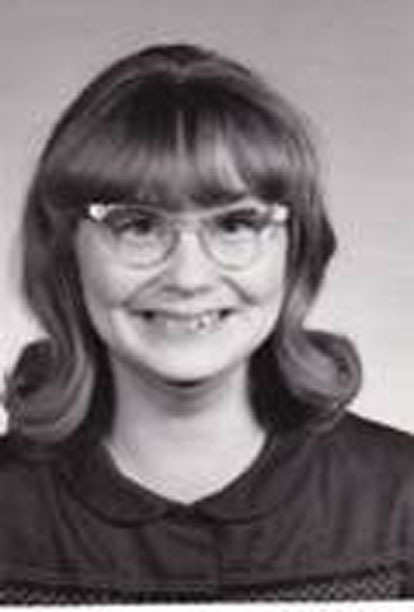 Editor’s note: This is the third of a three-part story concerning the recent 50-year reunion of the class of 1961 from Kenai High School. Part one, on July 20, provided an overview of the class and the reunion event. Last week, part two introduced Harry House, the eldest graduate from the class. 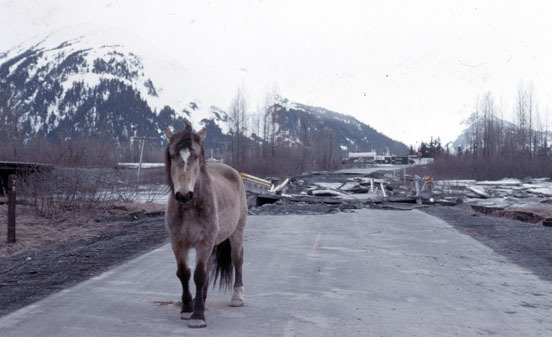 This week, part three discusses the history of the Kenai school system before Kenai Central High School, and the emergence of Kenai varsity sports. The history of schooling in Kenai stretches back more than a hundred years, and even the history of the public school system in Kenai tops the century mark. Along the way, there have been odd and sometimes unfortunate occurrences, periods of staggering growth, and the laying down of high school traditions that are carried on in the present time. Once Kenai High School was established as part of the Kenai School, for instance, students wove into the fabric of their educational experience the “Kardinal” as mascot, red and white as school colors, and Kaknu as the official name of the yearbook. They also began the first sports programs, including cheerleading, set up the first pep club, performed the first stage plays and put on the first prom. But the deeper origins of the Kenai school system connect all the way back to Russian occupation. The first school on the Kenai Peninsula was the Russian Church School in Kenai, and it remained operational — with classes taught primarily in Russian, and with Native languages forbidden — until the school closed in 1921. 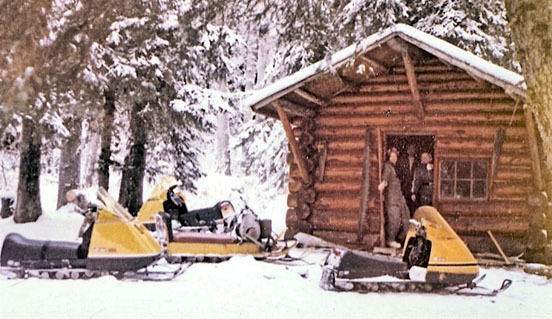 After that, it was used mainly for parish functions before being torn down in the late 1950s, according to “Once Upon the Kenai” by the Kenai Historical Society. By the time of the Russian school’s closure, a $5,500 U.S. government-run public school was already in business, having been built in 1907. This one-and-a-half-story building was 55 feet long and 22 feet wide, and its first teacher was Missourian Arch R. Law. 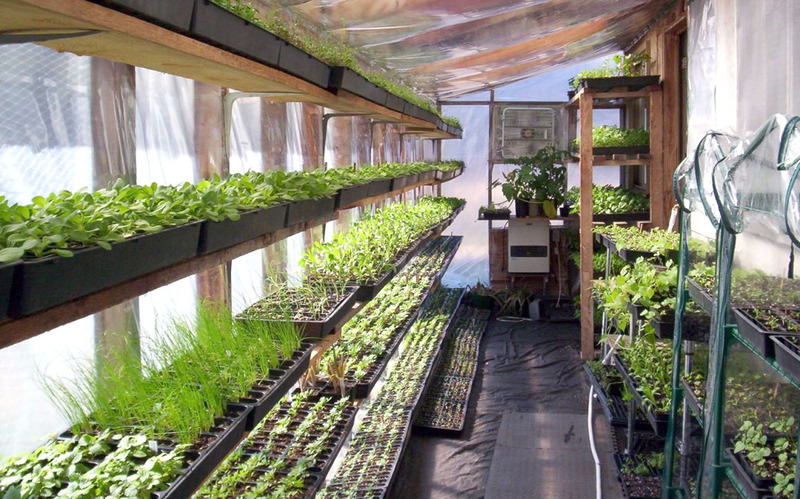 Two years after it opened its doors, the U.S. school had 58 students. 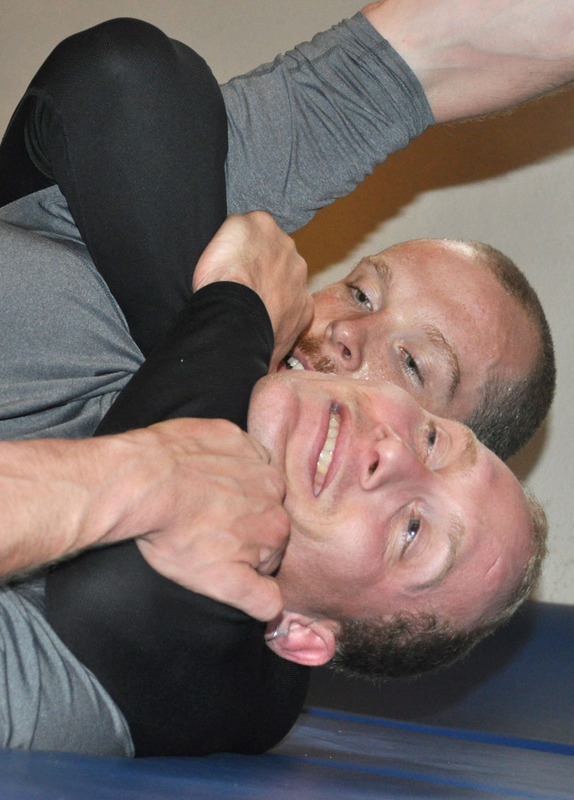 Mark Stogsdill, of Soldotna, chokes his training partner, Tim Marsh, by utilizing a Jui-jitsu technique. Stogsdill competes in local mixed-martial arts competitions, also known as cage fights. Under the dim light of a naked light bulb in his Soldotna garage, Mark Stogsdill’s brow is covered with sweat and the wrinkles of intense concentration. He is surrounded by the tools of his trade — in the corner hangs a heavy bag dimpled from abuse doled out from Stogsdill’s fists and feet. There also is a weightlifting bench, a treadmill and an elliptical machine, but the piece of gear getting use at that moment was the large wrestling mat that covers the cement floor, upon which Stogsdill is choking another man by crushing his windpipe between the back of his thigh and calf. Photo by Joseph Robertia, Redoubt Reporter. 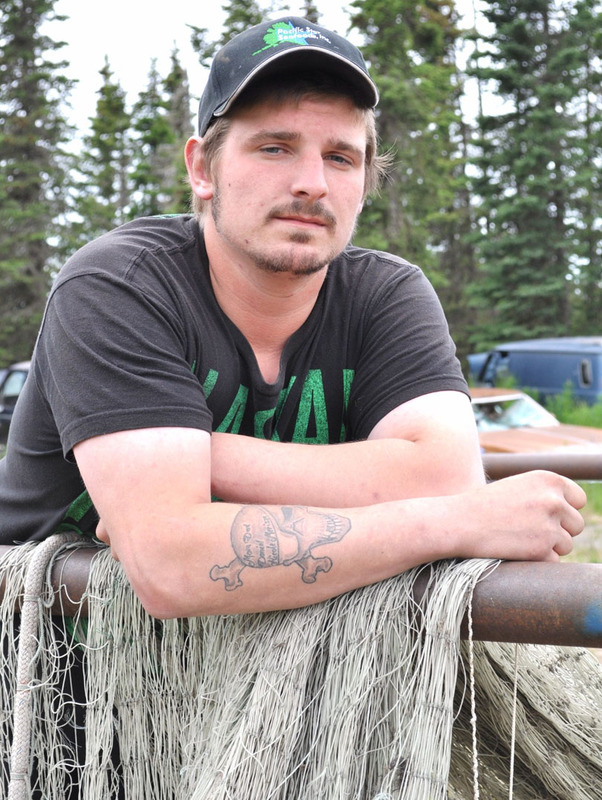 David Osmar is a fourth-generation commercial fisherman, running his first crew this summer. At the age many teens are landing on their first job, David Osmar, of Cohoe, was already several years into his inherited career. “I’ve been commercial fishing my whole life, basically,” said Osmar, now 21. “I started fishing for a percentage at around age 11 or 12, and driving a boat at 16, but this is my first year on my own with my own crew,” he said. The Osmar legacy on the water began with the late Per Osmar, a Swedish immigrant who was a pioneer of the area that has become known as Clam Gulch. Per started working on fish traps and later had his own sites from around 1952 to 1959, according to his son, Dean Osmar. Dean, following in his father’s footsteps, went out on his own fishing at age 13 with a brother around 1960. Years later Dean’s son, Timmy Osmar, branched out to maintaining his own fishing sites around 1992 at the age of 22. Now it is David’s turn.